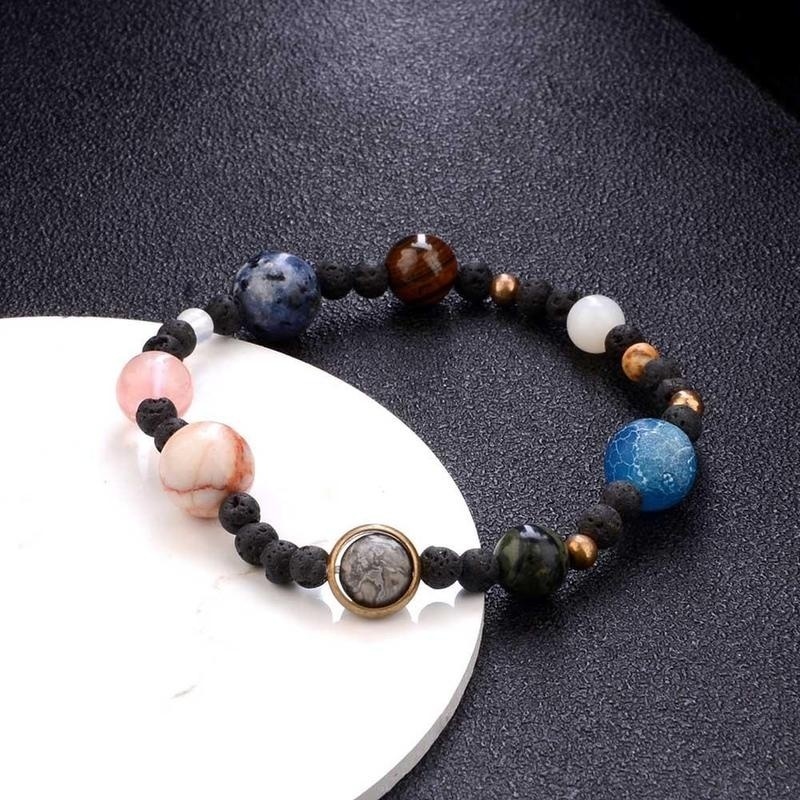 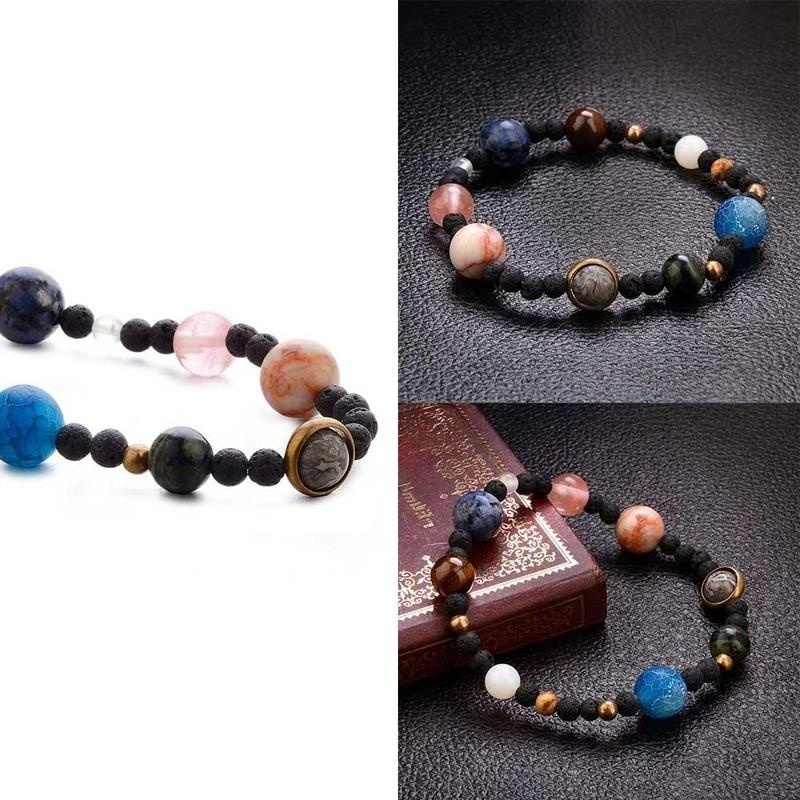 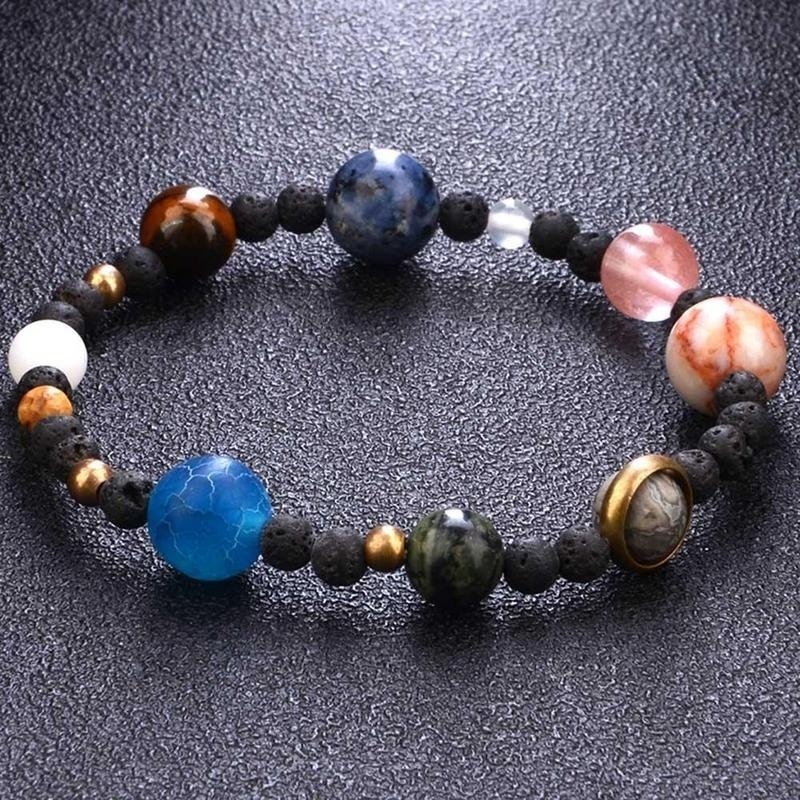 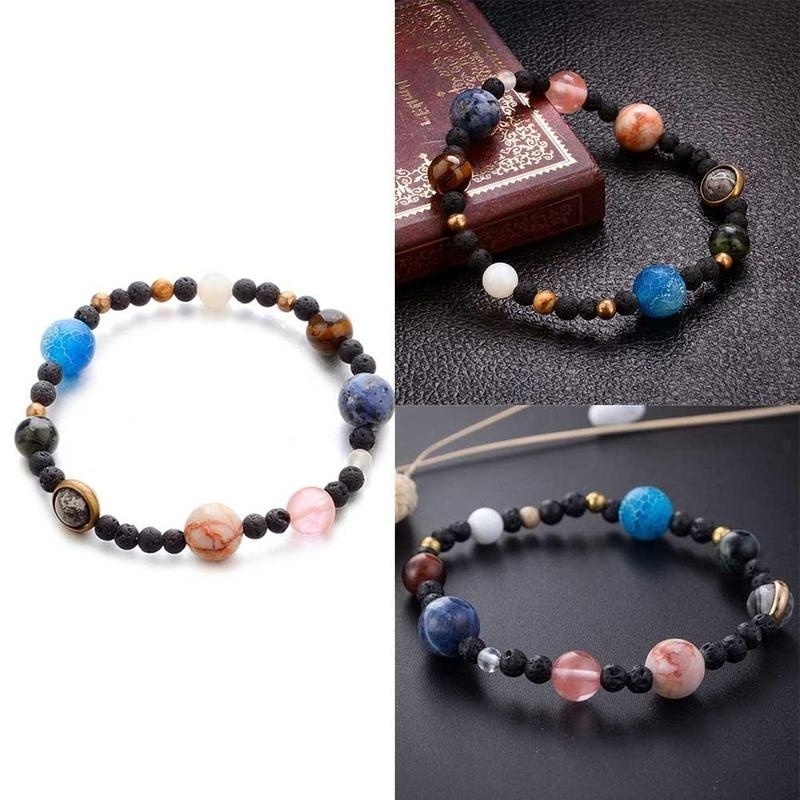 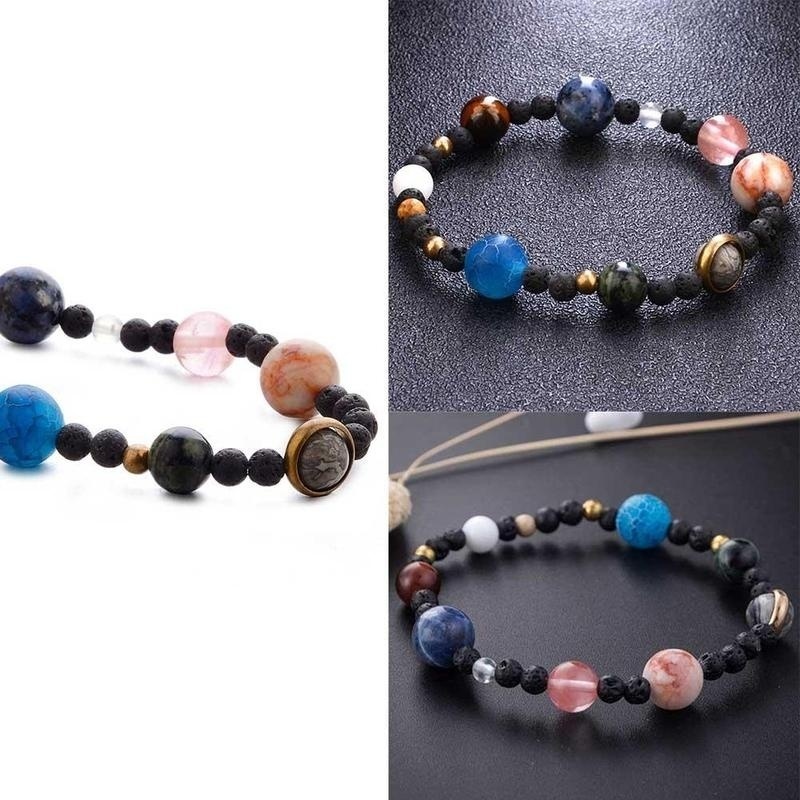 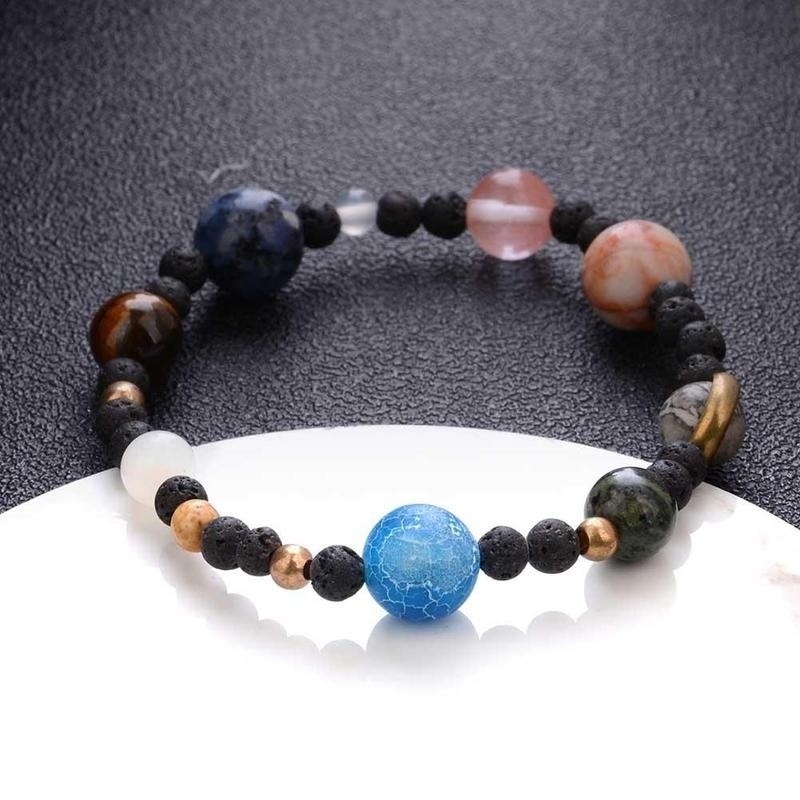 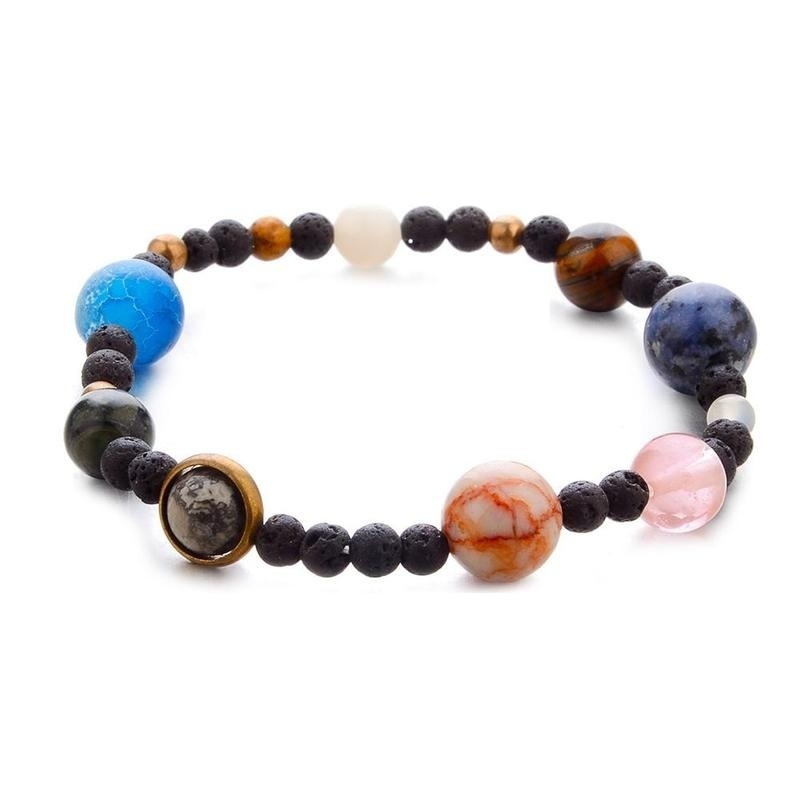 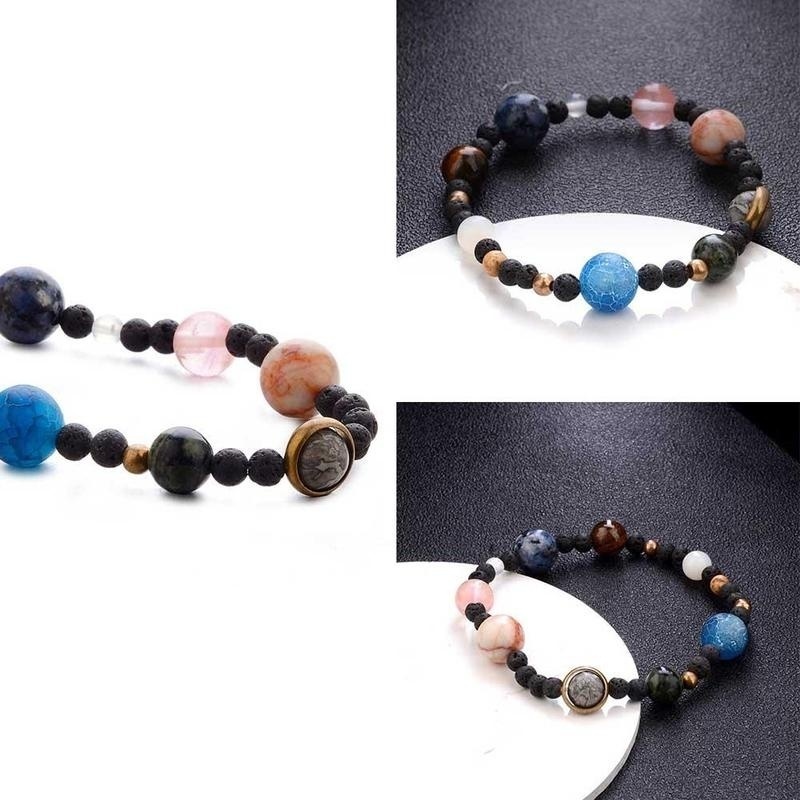 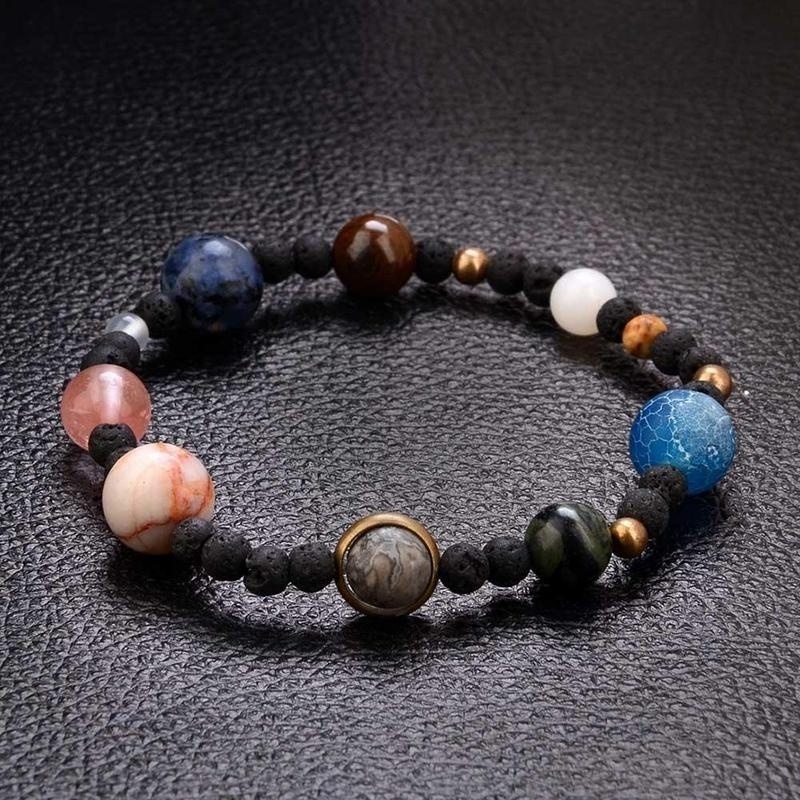 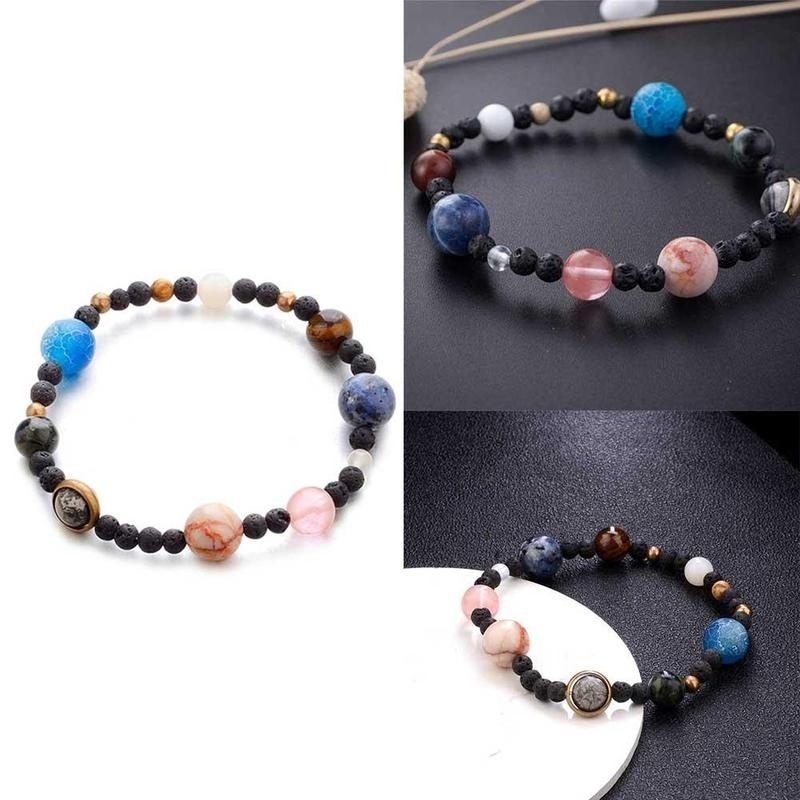 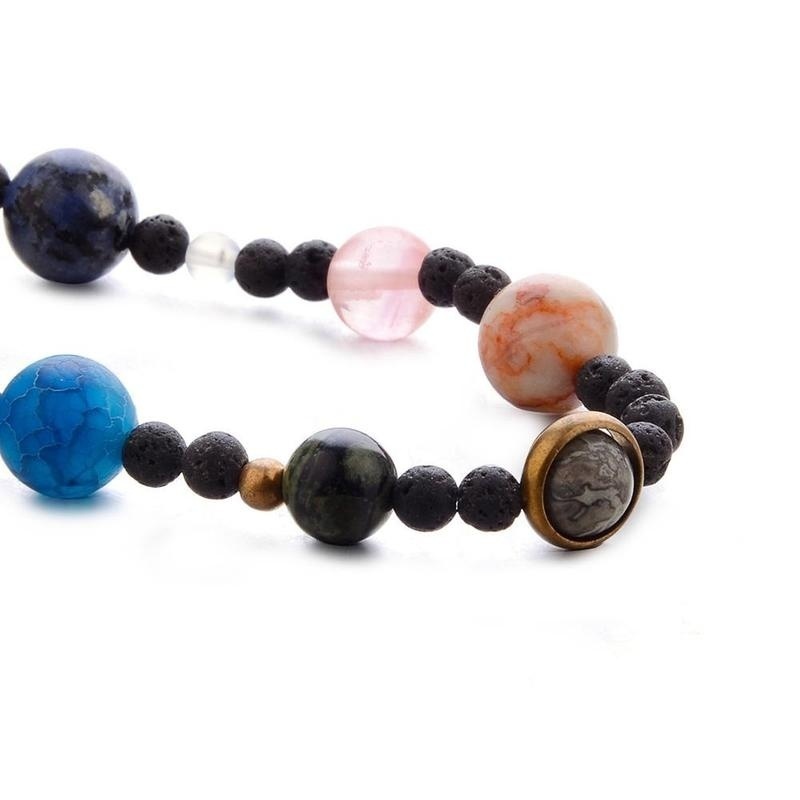 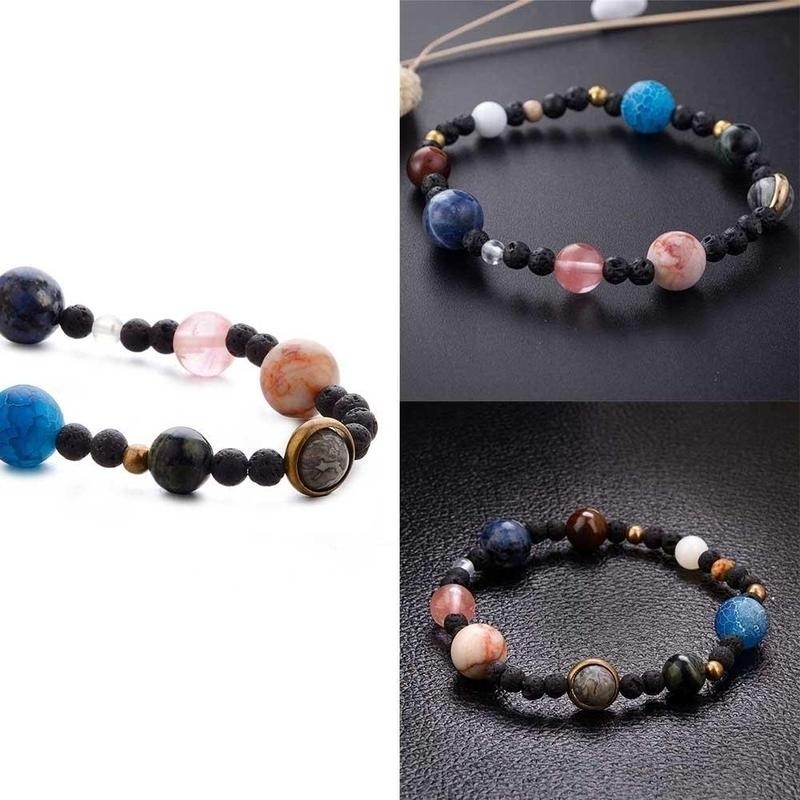 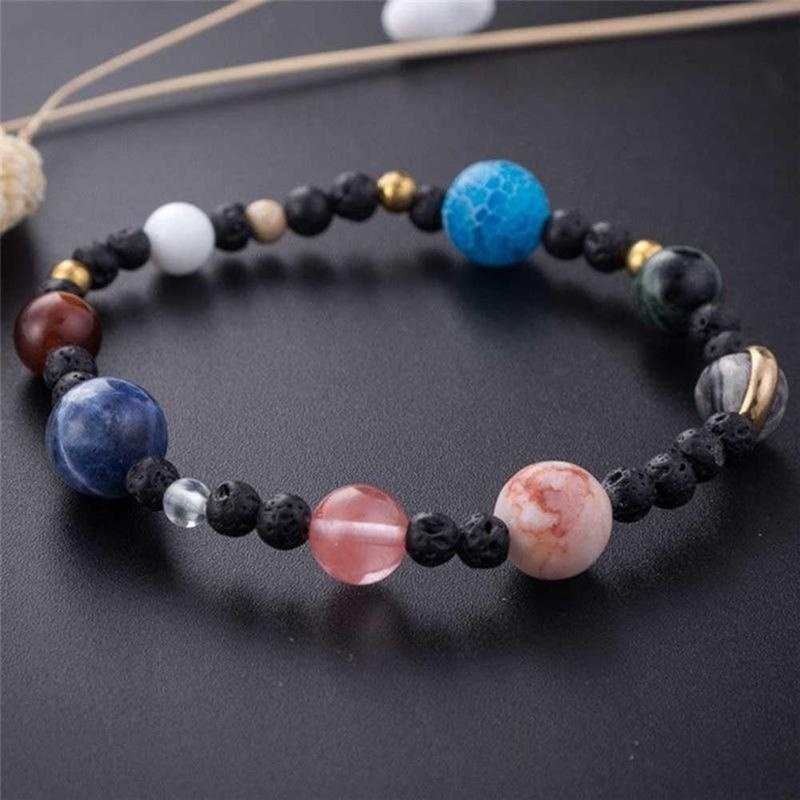 Stone Solar System bracelet featuring various stone depicting planets. 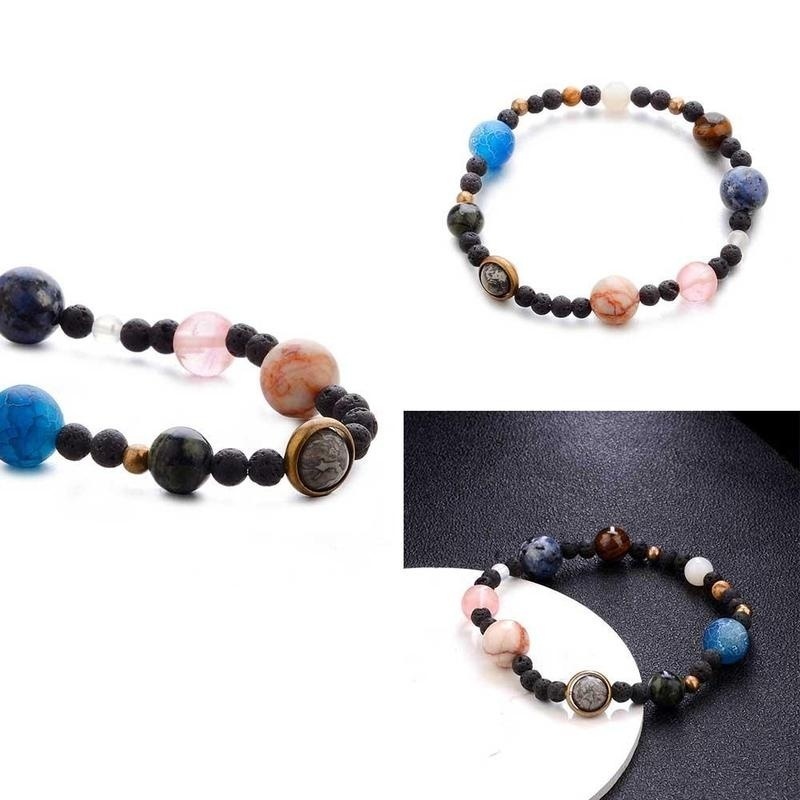 Each stretch bracelet may be slightly different . 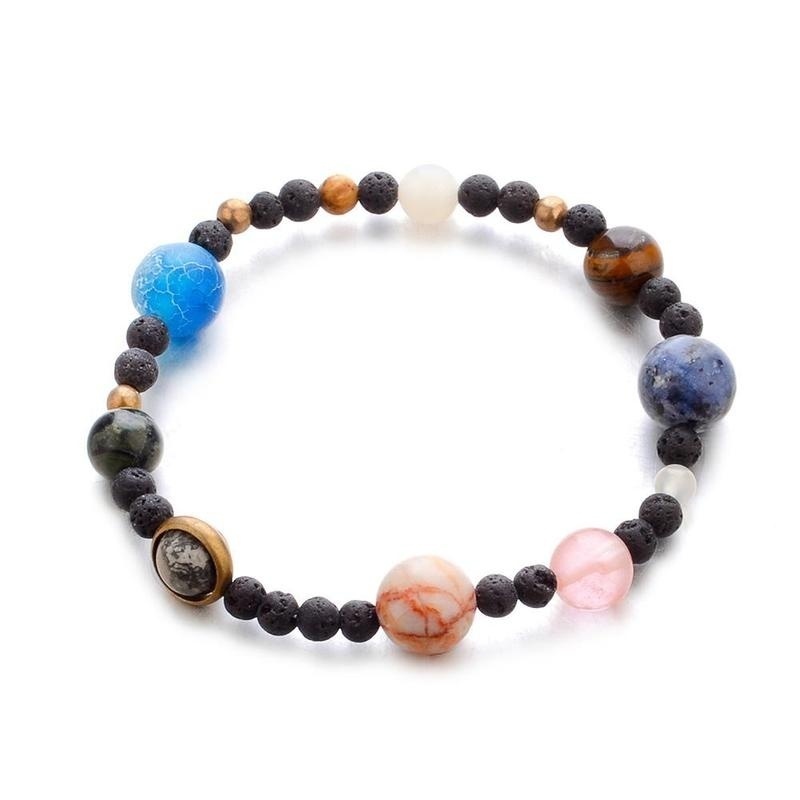 Black lava stones hold your favorite essential oils.